The Sulaima Senior suites are the biggest of all our rooms. The superior rooms are named after the once emblematic owner of the house and the matriarch of the family Sulaima Bint Al Barwani. 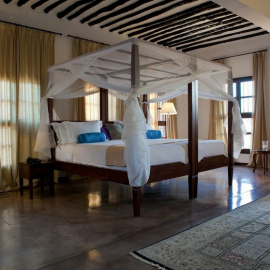 They are two very specious rooms, tastefully and elegantly furnished with a decidedly romantic and enchanting Swahili feel.